Have you ever wanted to take participation in Instagram challenge? 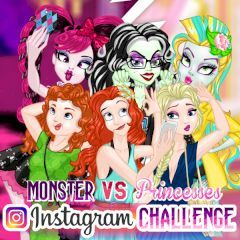 In this game you need to help two group of completely different girls to win the challenge. First, take care of monster girls and customize them all separately, then switch to princesses and do the same thing. Take photos and see who wins.